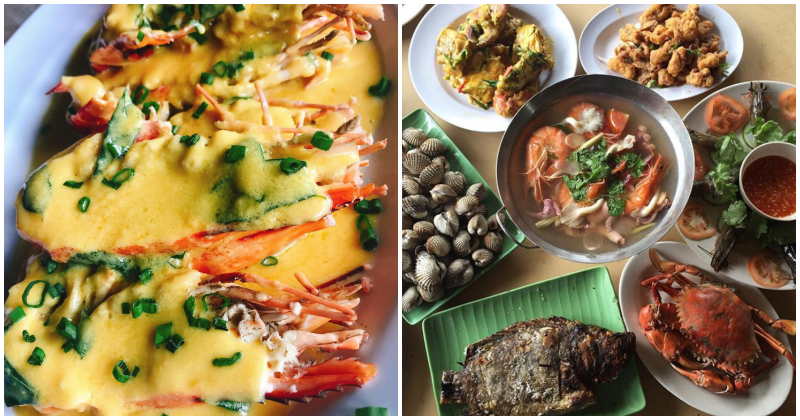 This Hidden Gem in Ampang Lets You Dine Over Water And Have Your Food Served on a BOAT! Thailand is known for a number of tourist draws, but among the slew of attractions, the floating wet markets of Bangkok are arguably the most visually memorable. Picture narrow, long sampans floating between one another, swaying ever so gently to the tide of the river while hawkers and market vendors haggle and conduct business with ripe vegetables, fruits, and cooked dishes. Sounds like something that tickles your wanderlust? You’ll be glad to know that you don’t have to travel that far to experience it for yourself! At Veg Fish Farm Thai Restaurant, this is as close as you can get to floating wet markets without the plane ticket. 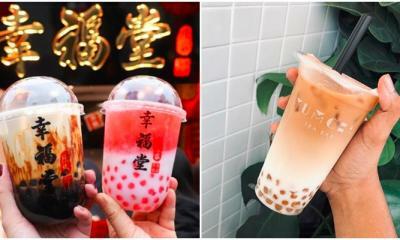 Located along KM4 of Jalan Hulu Langat in Ampang, this one of a kind Thai restaurant takes the concept of Bangkok’s famous floating wet markets and brings it right here to Malaysia. Located roughly a half-hour to forty-five minutes from the city proper, don’t be put off by the bumpy ride and remote nature of your surroundings, as Veg Fish Farm Thai Restaurant is a true hidden gem that makes it well worth the hunt. Upon entering the restaurant, you’ll be immediately drawn to the rustic appearance of the environment around you, as well as the dining platforms that are set over the surface of what appears to be a pond. This is where you will be seated btw (assuming that there are still seats available). The setting is made all the more picturesque if you come during the evenings, where the restaurant is lit up by strings of fairy lights, giving it an almost ethereal feel. Assuming you ARE lucky enough to score a table on the hotly contested floating dining platforms, be prepared to salivate over the wide selection of Thai dishes that the restaurant has to offer. Serving primarily seafood, take your pick between prawns, crabs, cockles, clams, and much much more (if you can’t pick between them, then just have a little bit of everything). But the major draw here has to be the choices of fish that the restaurant serves, as most of them are caught right in the pond you are dining over! But wait, there’s more. Remember how we mentioned the Bangkok floating wet markets? Well in this restaurant, waiters don’t dodge between tables to bring you your food. Instead, they ride little boats across the pond from the kitchen to serve you your dishes! Just like in traditional Thai wet markets! OMG! Tucking into the food and you’ll come to realise that this isn’t a gimmicky restaurant without any legitimate foodie-status, as the tom yam broth is rich, tangy and spicy, without being overwhelming. In addition, the restaurant’s signature steamed grouper fish in lime sauce adds a citrus tinge to an otherwise sweet fish. Then there are the crabs, barbecued over an open grill and bursting with hot steam and yummy, fluffy crab-meat goodness within. 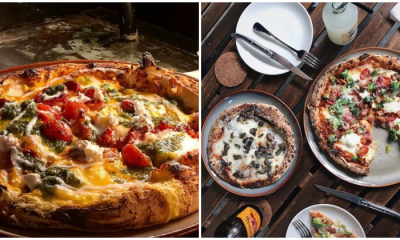 Prices are generally affordable, which means you won’t have to worry about this restaurant carving a hole into your pocket. So be sure to bring lots of friends and family along when you visit! The more the merrier, as they always say! Happy dining! Want to see more stuff like this? 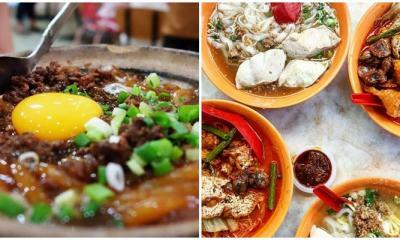 Don’t forget to like Munch to find out more about mouth-watering spots all over Malaysia! 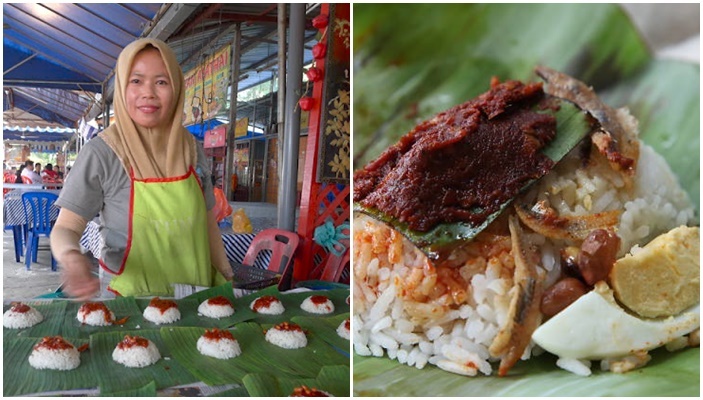 Also read: This Spot in Cheras Sells Nasi Lemak for 50 CENTS Only!